I originally rated this app one star because it bombarded me with pop ups to rate it. So I did, one star. Because it was unusable. Thankfully an update fixed the developers over zealous need for ratings and the app is useful again. I recently used the app in Thailand where I’m searching for a piece of land with a view of the sunset over the mountains. It was indispensable as the realtor always told me the land met my requirements. Often times it did not and I showed them the proof. 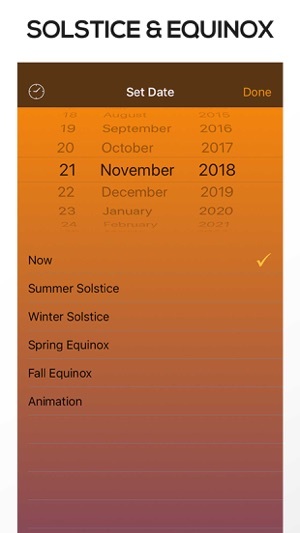 Even better, this app gives you sunset and sunrise paths for not only the current day but for other days and months throughout the year. 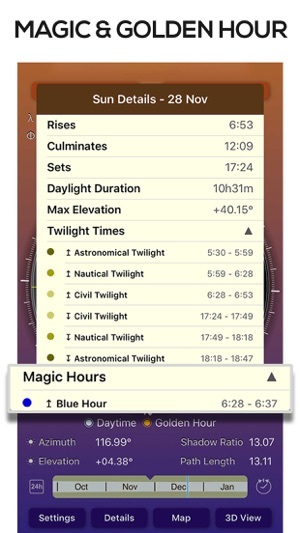 This allowed me to see where the sunset would be for the time period I will be here, most of the winter. 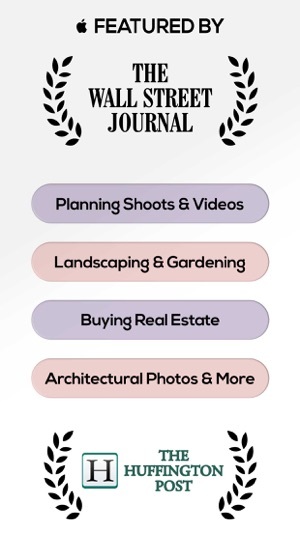 Excellent app well worth the cost. The app implements Apple's rating request system which should be limiting review requests to a maximum of 3 per year. Clearly there is something going wrong in your case so I will investigate further and find a way to eliminate this issue. A must for anyone designing a solar focused home. My wife and I are designing a solar focused home in NM, USA. Sifting through overly technical websites with mountains of raw data left us starving for usable information specific to our homesite. 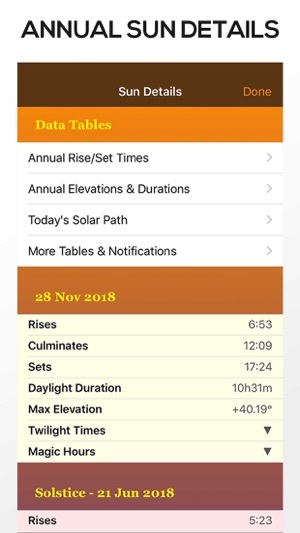 This app not only translates such data into usable information for today’s date but, gives us projections of where the sun will be throughout the year. Now we are able to site our future home with (solar) precision as well as make better decisions as to the exact nature of our structure’s design to maximize solar gain for the winter and shade for the summer. I recently purchased and installed this app on a 3Gs running the updated iOs without mishap. Last weekend, our group of five went to Utah for the annular solar eclipse on 20 May 2012. 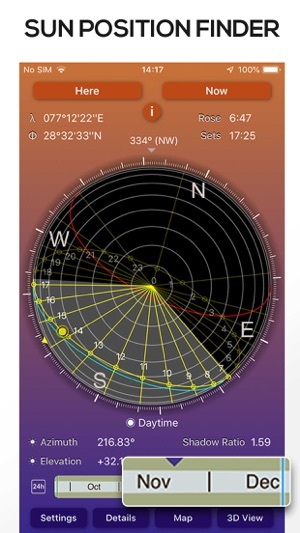 In Kanarraville, Utah, this app enabled me to accurately predict where the Sun would set. I accomplished this feat without practice and with an unfamiliar horizon. Bravo! This app is still going strong for me. Sun Seeker is a valuable tool for astrophotographers. 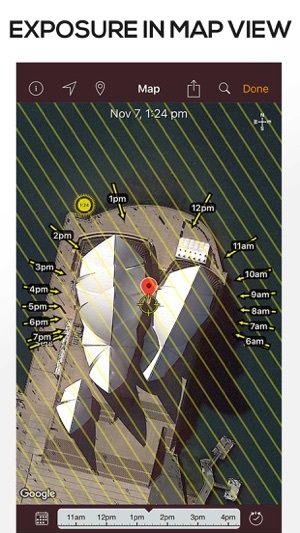 I use this app often and it is unsurpassed for plotting and framing solar eclipse photographs. SS is getting better as time passes. This augmented reality (AR) app is always great but it a key part of my eclipse observing toolkit. I used it again last summer in Oregon for the total solar eclipse. SS still works fine with my new iPhone 8+ and never seems to crash. The map feature is neat and well executed. 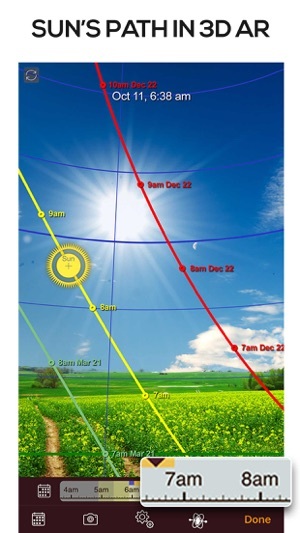 Seeing how time affects the azimuth range of the Sun is useful and fascinating. 6*! Requires iOS 11.0 or later. Compatible with iPhone and iPad.